Here at MorningMoss we like to think that we can get you some great information and entertainment on deer hunting, as well as other hunting and fishing news and content. However, we know that there are many other great sites online that offer some cool stuff as well. We check out many of these other blogs on a regular basis and we hope that you will be able to find some good information there as well. Here are some of the best deer hunting blogs online that we know of in no particular order. Let us know if you have some to add too. Mark Kenyon and his Wired To Hunt blog and podcast is one of the best deer hunting blogs on the Internet and one of my personal favorites. His podcast with Dan Johnson is funny, informative and has some great guests. Mark’s story is very interesting and similar to that of the guys here at MorningMoss with his past career. Check out the Wired To Hunt site and Podcast every day for new content. Dan Johnson’s relatively new Nine Finger Chronicles blog has some interesting reads and funny articles. Dan used to work at a large outdoor company and now does a weekly podcast with Mark Kenyon at Wired To Hunt. Check out Dan’s funny stories and great hunting information from a guy who knows how to put down some monster bucks in Iowa on the Nine Finger Chronicles here. Tony Hansen has been a writer that I’ve been following for years. He used to write for an old blog called Great Northern Outdoors and I did as well, which is how I was first exposed to him. Tony is from Michigan and is a regular contributor to Outdoor Life as well where you can read his interesting land improvement articles. Brow Tines and Backstraps has some good stuff and is packed full of whitetail tips and information that you can find right here. Deer and Deer Hunting is one of the best hunting magazines out there and has been for quite some time. Dan Schmidt is at the helm of that publication and has been for years. Dan’s witty articles and important whitetail wisdom offers any hunter good advice and will help you in all aspects of your hunt. Check out Whitetail Wisdom on the site here. While Outdoor Life is one of the best hunting magazines in the nation, it’s a great online resource as well. 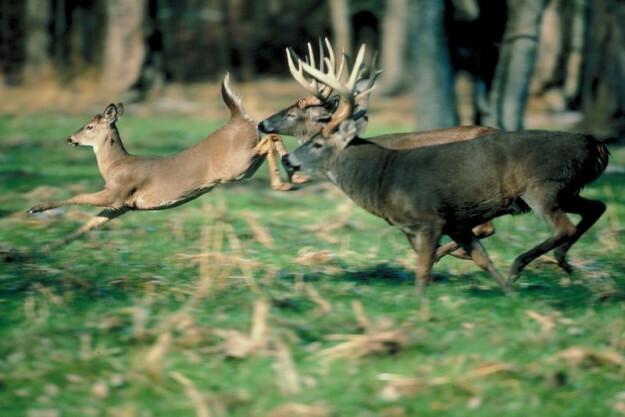 There are tons of great deer hunting articles as well as other hunting, fishing and DIY blogs. Check out Outdoor Life for some cool info and handy tips and tricks on their site here. Please let us know if you know of any great deer hunting or any hunting blogs that we missed. We’d love to check them out and would love to hear what you think!